The five local artists who want to change Indy and need your vote (and the $10,000 that comes with it). Community building and arts-focused innovation will give some of Indianapolis’s brightest innovators a chance to bring out the best in their community at the finals of “Look Indy: The City is Your Classroom,” the 5x5 Arts and Innovation Prize Competition on August 7. Hosted by the Harrison Center for the Arts, the event is will bring together local visionaries to present their ideas in the Harrison Center’s courtyard. Five finalists have been selected to compete for a $10,000 prize and will be judged on a five-minute presentation. Audience members will select the winner. Joanna Beatty Taft, Executive Director of the Harrison Center for the Arts, explained how what it was that made these five stand out. “I think most of these applicants made the judges smile or pause to think in a way that the other applicants didn’t,” says Taft. She also is the one who gets to help the finalists develop their ideas after the competition. Taft also loves connecting 5x5 participants to potential partners. “We have energy, we have new approaches and we have the community connections to put our ideas into practice," says Taft. At the upcoming event, finalist Grant Thomas will present “Color Me Indy," an interactive coloring guidebook project that will include neighborhoods, events, and landmarks. Thomas’s idea is intended to connect adults and children to specific places, while teaching the history of the city. During Thomas' residency at the Harrison Center, he walked around Indianapolis for a 48-hour project and created three illustrations based on what he saw. Those drawings are the backbone of “Color Me Indy” entry. It's “a great way to get funded to do something you love while creating a relationship with a city like Indianapolis,” says Thomas. He hopes to connect the community through creation, not just release a book. "The idea teaches people about the city and hopefully will expose them to parts that people don't necessarily interact with on a daily basis,” says Thomas. 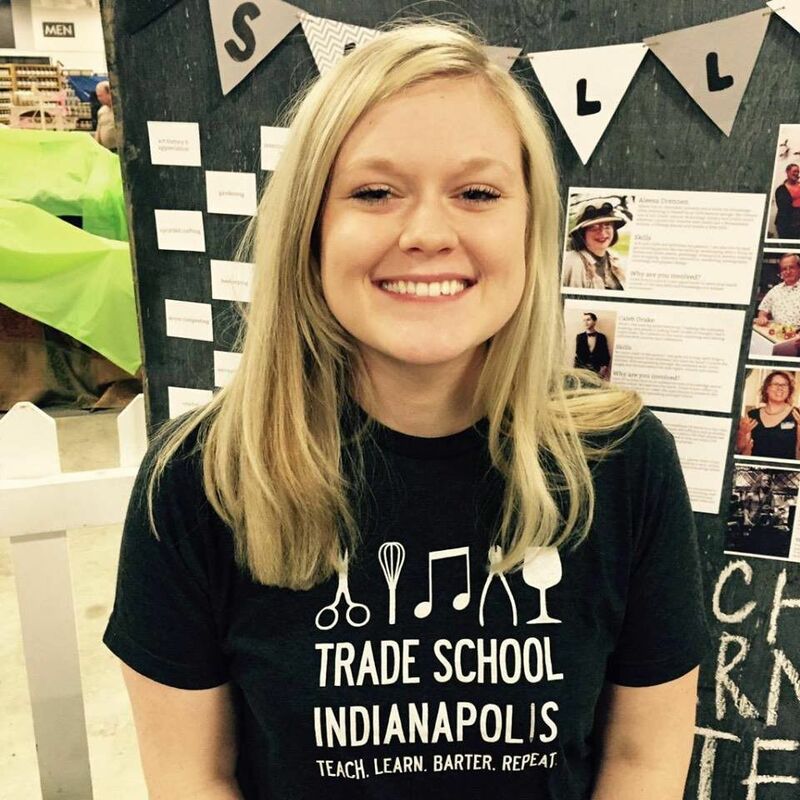 Finalist Brittany West’s “Your Neighborhood Trade School” project will scale down the citywide Trade School model into a semester of Trade School workshops held in three neighborhoods. West’s project will work with neighbors to organize classes in community centers and public spaces. The classes will create an opportunity for neighbors to share ideas and skills. “Your Neighborhood Trade School” will showcase how the community can learn how to complete projects within an environment of trust and respect without solely relying on income. It will also explore how Indianapolis can improve through the skills and resources of its neighborhood residents. West believes the project will create sustainable neighborhoods. Teach a man to fish, right? 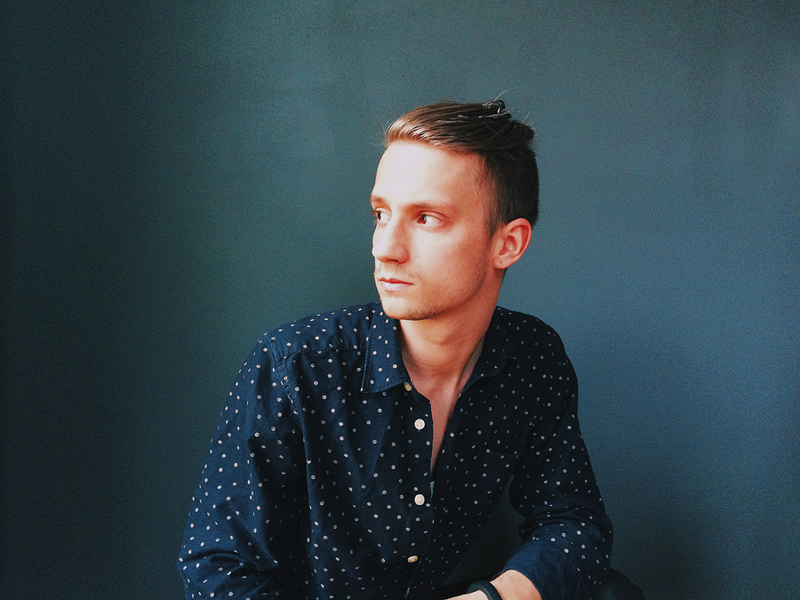 Mark Kesling’s “The Hidden City” will employ 3D artists to work with businesses, helping them both identify and paint three-dimensional murals on city buildings, sidewalks, walls, and streets. Kesling’s project is intended to merge art with science in a way that encourages people to be a bit more curious about the space around them. Jonathan Harris’s “Open Air Lyceum” project at Herron High School proposes an outdoor meeting place for inspirational discussion and engagement. It will also introduce a free public lecture series for the community to foster local discourse around things like current events, history, science and the arts. The “Open Air Lyceum” is named in the tradition of the American Lyceum Movement. It will hopefully feature a permanent seating arrangement. By educating and engaging its participants through dialogue “Open Air Lyceum” also hopes to provide Herron students a chance to share their research. Mary Jo Bayliss’s “LifeLines” project will display two, large-scale, steel sculptures designed by her students from Christel House Academy at the Indianapolis Art Center’s Artsgarden and in each student's neighborhood. For Bayliss — whose high school students serve as her inspiration for the project — community artwork is “a souvenir of sorts.” The project takes a community-building model from Bayliss’s school and brings it to the other neighborhoods. “The goal is to include people from the Indianapolis Art Center and other high schools.” Bayliss’s project will also feature community meetings, team building exercises, food, music and welding lessons to give people who don't usually socialize an opportunity to get to know each other. To reserve a place for the August 7 presentation of the “Look Indy: The City is Your Classroom” competition, visit http://5x5indy.org/. “Start Up Indy”, the theme of the next 5x5 competition, is sponsored by Verge, and will take place in October.